Growing up in the Philippines, Almira Torralba Baker heard her late father, a high-powered bank executive at the time, tell countless stories about the brilliant attorneys who helped him make key business decisions. Now general counsel at Roadmaster Group, an affiliated group of specialized transportation companies serving the high-security market, Baker leads an initiative to improve the company’s culture. 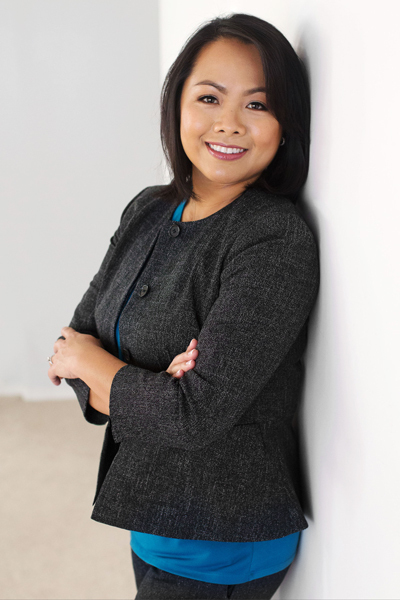 As much as her father’s admiration for attorneys inspired her career choice, she also says she found inspiration in the fifteen years she lived in the Philippines before her family moved to New Jersey. In her current role as general counsel, Baker handles risk management, human resources and corporate governance for Roadmaster. Baker, a graduate of Wellesley College and Notre Dame Law School, believes even small shifts in culture can trickle down to every department within an organization. For instance, when the Roadmaster logo evolved to include “the right way,” she noticed a dramatic decrease in the number of complaints filed by former employees against the company. Nevertheless, Roadmaster’s HR goals involve much grander plans than updating a logo. Just recently, the company instituted a bonus-incentive plan for all support-staff members that makes virtually all full-time employees eligible for a quarterly bonus, based on targets set by the company. This plan fosters an environment wherein all employees are moving in the same direction. “We believe everyone is contributing to the company’s success, and this has been a huge boost for morale,” she says.